Macrophages attacking parasitic larva. 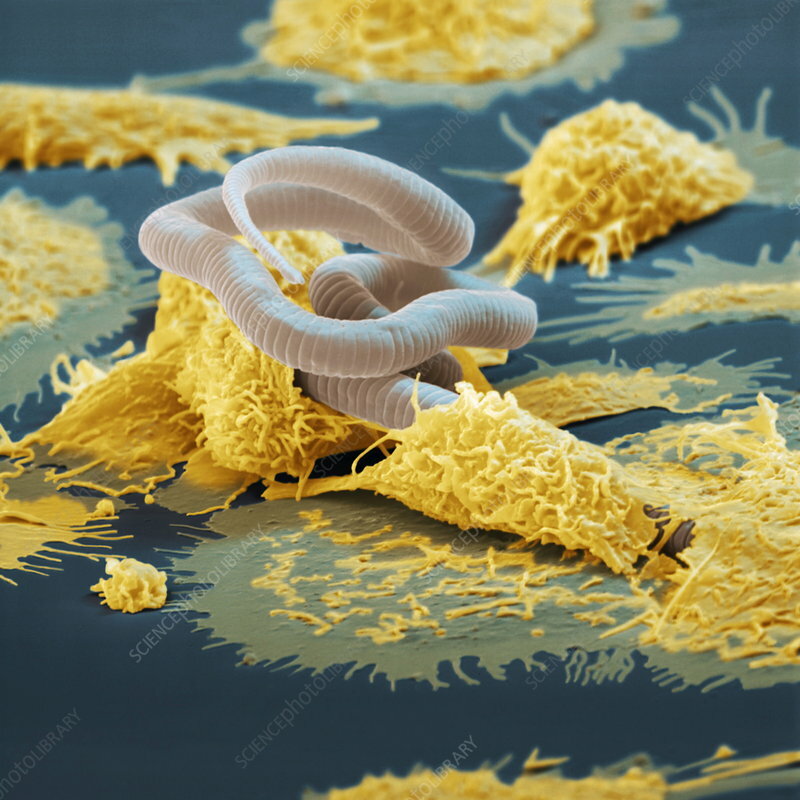 Coloured scanning electron micrograph (SEM) of many white blood cells (macrophages, yellow) attacking the larva (microfilaria, white) of the parasitic nematode worm Wuchereria bancrofti. This worm is passed from human to human via mosquito bites. It lodges in and blocks the lymph nodes that drain to the lower extremities causing elephantiasis, the massive enlargement and deformity of the legs and genitalia. Macrophages attack many types of disease-causing organisms and clean up cellular debris. Magnification: x3300 when printed 10 centimetres wide.